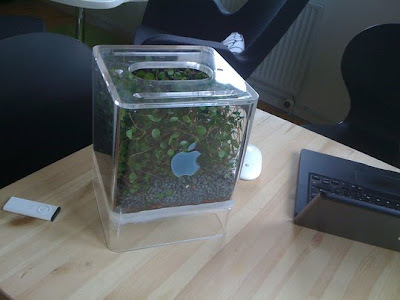 If you happen to have an Apple Power Mac G4 cube package laying around why not beautify that clutter and make a terrarium? Check out the tutorial on Apartment Therapy unplggd.com. It's a fun idea but I wonder how many people still have these things lying around?